In space, no one can hear you screen The Martian weeks ahead of its official release—that is, unless you tweet about it to your hundreds of thousands of followers. Astronaut Scott Kelly, commander of the International Space Station, shared a photo of the ISS’s Saturday movie night, which featured an early screening of The Martian. 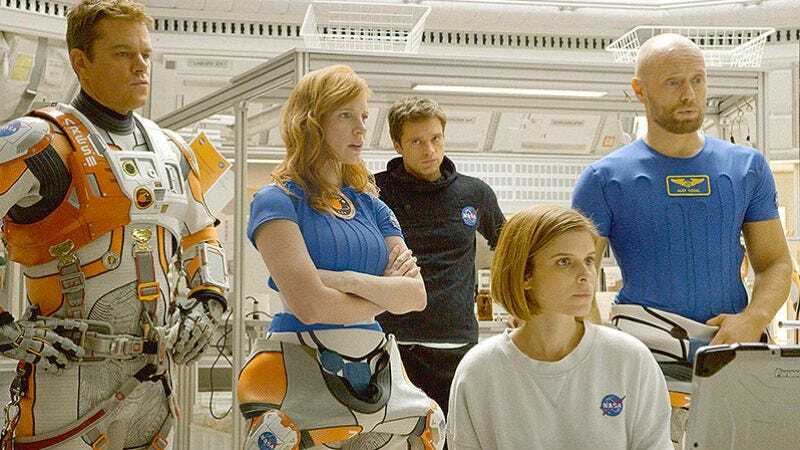 Yes, it seems one of the perks of completing rigorous testing and training for a coveted spot aboard an orbiting laboratory is watching Matt Damon movies for free—and sans interminable trailers. They might have watched The Martian to pick up some valuable tips on how to avoid marooning one of your crew, especially if it includes a superpowered individual or two. The ISS crew also screened Gravity back in April (Apollo 13 was probably on the pre-mission syllabus as well). The Martian won’t hit theaters until October 2; in the interim, you can watch this promo video for NASA’s “A Year In Space,” as narrated by Billy Dee Williams.